We finished with Laos about 11 days ago and crossed-back into Thailand at the Chiang Khong / Huay Xai crossing, only to discover our 1 flat tire during the entire 3,970km trip right there while doing border papers. 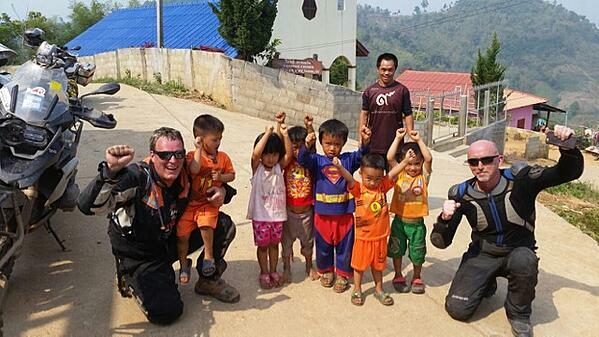 A simple nail in the rear tire of my F800GS could have meant breaking out the tire irons there beneath huge canopies of Customs & Immigration, but in the intense April heat, we opted for the convenience of throwing a little air in there and limping 5 minutes into town where a local shop had the machinery to make it all easier. 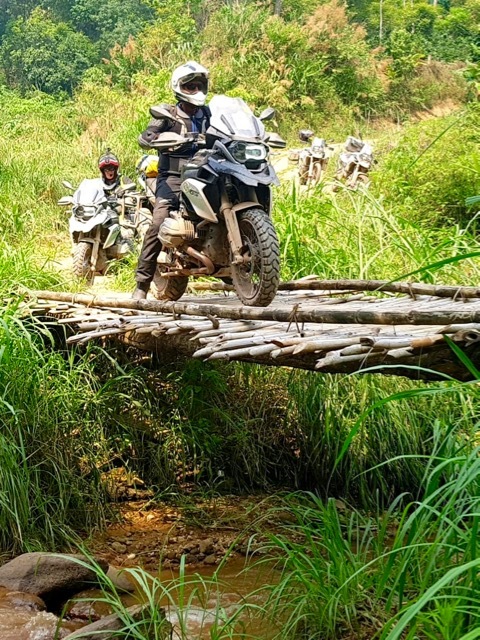 As will be explained when we post our first Guided Group tour package, a trip to southeast Asia in the month of April comes with Pro’s and Con’s. 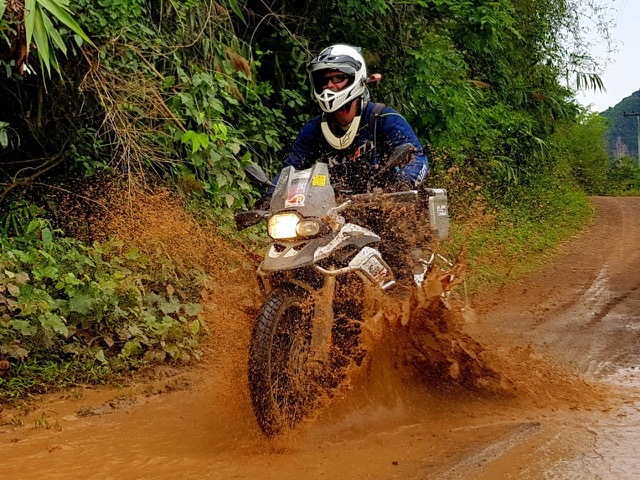 The Pro’s being that we get to enjoy Songkran with the people of Thailand and Laos and previously mentioned water fights, along with very little chance of rain and great riding terrain for the big adventure bikes. Perhaps the only “con” being that it is very hot, every day. We hit 40C/104 F more than a couple of times and it was plenty humid, but finding shade, wearing the right riding gear, and constant airflow while riding makes it easily bearable. This is only really a “con” if perhaps you’re the type of person who hates heat. Riding northwest along the Mekong River into the famous “Golden Triangle” of Myanmar, Thailand and Laos, there’s even an Opium Museum in the city of Chiang Saen to educate us on the matter and remind what an enormous influence the smuggling business has been in the past here. Admittedly, thoughts like “when in Rome, do as the Romans do” popped in my head, but it was suggested to me that it may be a bit riskier and more difficult to find a useful portion than I care to get into. End of day Singha beer at the excellent Steak and Coffee restaurant was plenty to relax and laugh about the day’s adventure in getting back into Thailand. We walked across the border quickly at Thaton to catch a feeling for what Myanmar was like, although I’m not sure such a border town does the country any justice. 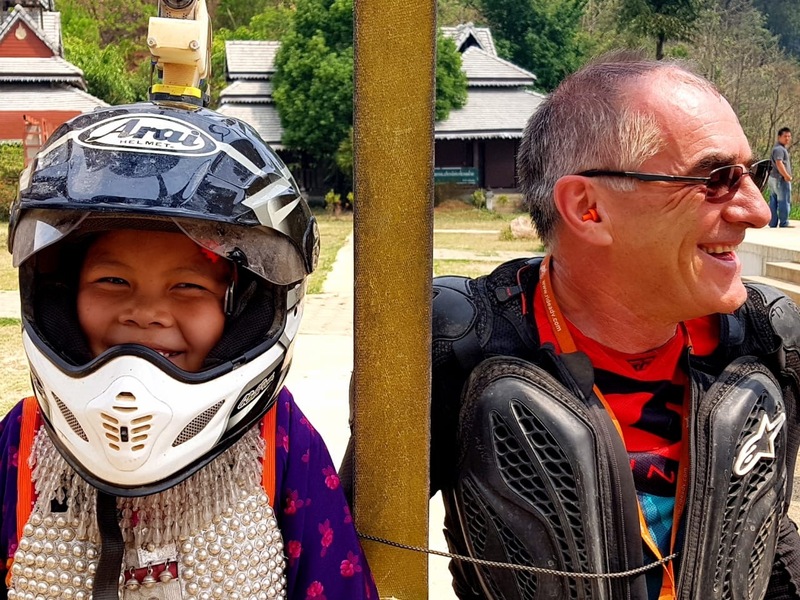 Still, it’s an official stamp in the passport, and on the next research ride, we’ll put the time and effort into creating the documentation and authorizations necessary to take the Thai-registered bikes into Myanmar. Much like on other continents that we organize trips for people, there’s plenty of legwork to make a border crossing happen, so we just kept it simple by foot this time. 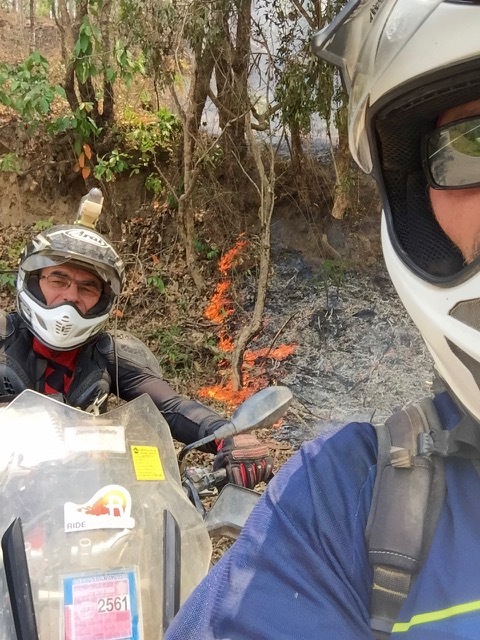 This being the dry season, we encountered numerous roadside fires along the way, some of which may have been accidental, but others that were definitely started by local interests. A rough explanation we’d been given was that, burning of land somehow signifies “ownership” of it, and therefore the right to cultivate as one wishes. With mushrooms and other crops coming from nutrient-rich soils, it was almost a daily feature for us to encounter random flames and smoke. 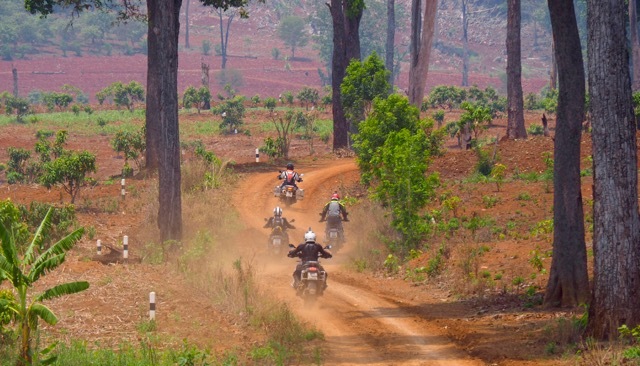 Stay tuned to our Motorcycle Tours by Location page, and you'll see these incredible riding opportunities in Thailand & Laos available soon.